MSC Cruises announced that MSC Seaside, which will sail from Port Miami, is now open for booking. The cruise ship will sail year-round from Miami with 7-night Eastern and Western Caribbean itineraries. Passengers who sail to the Eastern Caribbean will visit Saint Thomas, Puerto Rico and the Bahamas, while those who head to the Western Caribbean will explore the Bahamas, Cozumel, Jamaica and the Cayman Islands. The first sailing will be the December 21, 2017 Christmas cruise. Sales are already open to the general public and offer an All-Inclusive Classic drink package, applicable to 1st and 2nd guest in a stateroom on all 7-night or longer Seaside sailings for bookings made by Jan. 31, 2016. Voyagers Club Members receive a 5% discount and an All-Inclusive Classic drink package for all bookings made through Jan. 31, 2016. Prices start at US$590 per person. 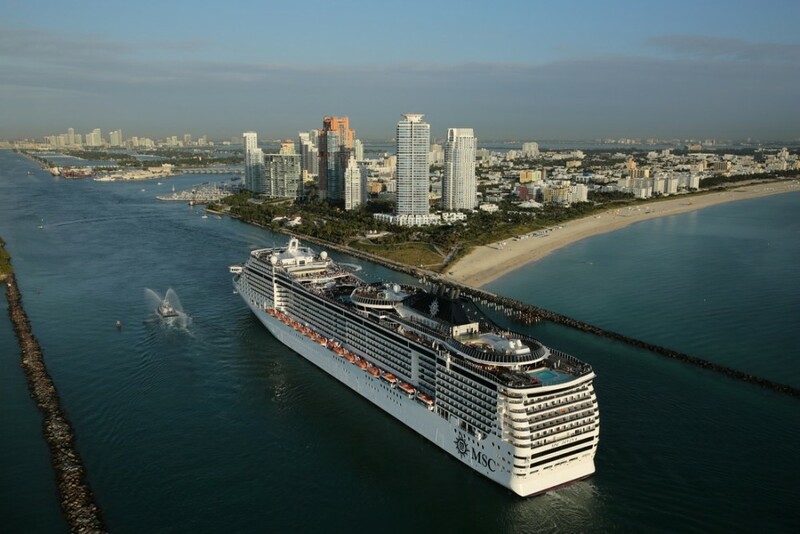 Docking at a newly expanded and renovated dedicated berth and terminal at Port Miami, MSC Seaside joins the ultramodern MSC Divina in servicing North American market.